I have shamefully neglected this blog, friends, but I’m back now and ready to rumble. Just spent an excellent couple of hours watching two really great sf/f movies with surprisingly feminist subtexts. Be forewarned: plot developments are discussed so if YOU DON’T WANT ANY SPOILERS, READ NO FURTHER. 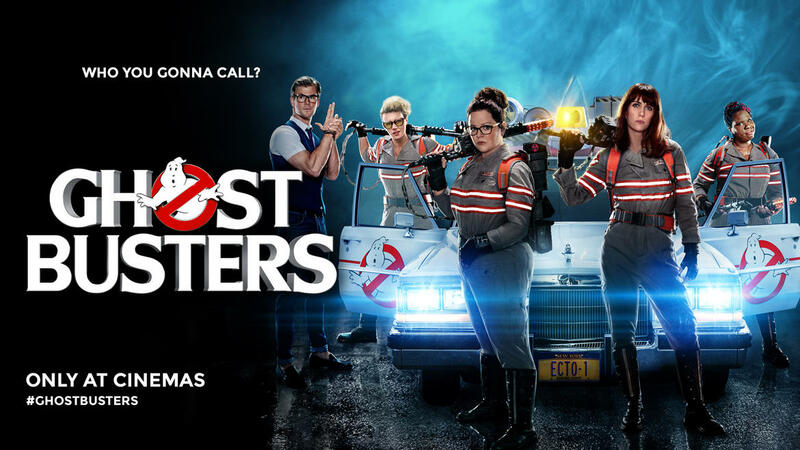 First up is the new Ghostbusters movie which is probably most famous for receiving a large amount of misogynist and racist hate mail before and after its release. Having watched it, all I can say is that the haters must be evil spirits who want to wreak havoc upon the earth because this is a great movie and easily three times better than the original which was, let’s face it, a raunchy ’80s locker room comedy. In this version, the focus is on the relationship between two estranged former friends–physicist Erin Gilbert (Kristen Wiig) and paranormal investigator Abby Yates (Melissa McCarthy). Erin is on the verge of her tenure review at Columbia when she is drawn back into Abby’s world of paranormal investigation by a desperate curator of a haunted mansion and a whole lot of ectoplasm. Out of work and on their own, Erin and her team must race against time to find out who or what is triggering a city-wide outbreak of ghostly activity. Kate McKinnon steals many scenes with her cool-yet-crazy turn as team engineer Holtzmann while Leslie Jones is local historian/subway worker-turned-ghostbuster Patty. Sprinkled through the movie are lots of great shoutouts to the first movie as well as cameos by the original cast. What intrigued me the most, though, is the feminist thread that runs throughout the storyline. For example, a number of critics found the character of Kevin (Chris Hemsworth), the handsome yet thick-as-a-plank receptionist to be unrealistic. I, on the other hand, found it completely realistic. Kevin is the type of lousy assistant that the Ghostbusters team has to tolerate because as women they don’t have the leverage to hire someone better. I flashed immediately to two male student assistants I was once asked to find work for. Both of them bungled the simple jobs they were asked to do and both seemed to resent being corrected or given orders by women. Needless to say, I got rid of them as soon as I could. Throughout the film, the Ghostbusters team receives constant flack because they are female with pretty much every sector of society questioning their competence, their honesty, and their sanity. As Abby puts it, “we get dumped on all the time.” One of the underlying themes of Paul Feig’s movies is the power of female friendships and this is what the team relies on to get them through, save the day, and New York City. 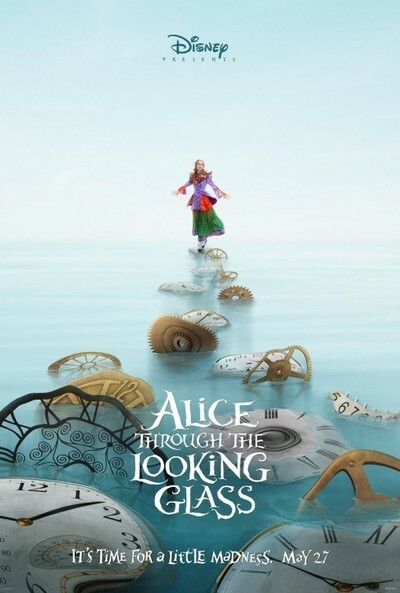 Next up is Alice Through the Look Glass, another sequel that has unfairly received negative reviews. Again, I can’t understand it because this film is a beautiful, touching allegory. Bring your tissues because unless you have a clockwork heart, you will tear up. When we last saw Alice Kingsleigh (Mia Wasikowska) at the end of Tim Burton’s Alice in Wonderland, she was sailing away on trading vessel bound for China, having chosen a life as a Company apprentice over marriage to the pompous Hamish. As Through the Looking Glass opens, three years later, we see Alice, now the captain of her father’s ship, returning triumphant to England. But there’s no cheering crowd and congratulations for young Captain Kingsleigh. On the contrary, there’s trouble from every corner. In the interval, old Lord Ascot, Alice’s father’s friend, has died and has been succeeded by the unpleasant Hamish who is out to exact vengeance on Alice for refusing him. Hamish has extorted Alice’s company shares from her mother, Helen Kingsleigh (Lindsay Duncan), and is now threatening to take the Kingsleigh family home unless Helen and Alice sign over her father’s ship. Alice also receives a summons back to Wonderland where the Hatter’s wits seem to have finally turned: he insists that his family, the Hightop clan, is still alive despite them having all perished in the Red Queen’s coup. To save him, Alice must confront Time Himself (Sacha Baron Cohen) and travel back into the past. In doing so, we learn more about both the Hatter’s family and the relationship between the sister queens, Mirana and Iracebeth. Through the Looking Glass also has a feminist thread running throughout its storyline. Again and again, Alice must assert herself against the obstacles both English and Wonderland society put in her way in order to do the right thing and to live her life freely. Alice, closer to her idealistic, unconventional father, has always clashed with her more traditional mother, Helen. Without giving too much away, it’s a pleasure to see these two start to learn from and respect other.